Bruce Schneier is an internationally renowned security technologist, called a security guru by the Economist. He is the author of 14 books including the New York Times best-seller Data and Goliath: The Hidden Battles to Collect Your Data and Control Your World as well as hundreds of articles, essays, and academic papers. His influential newsletter Crypto-Gram and blog Schneier on Security are read by over 250,000 people. 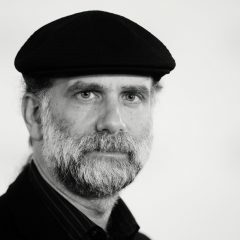 Schneier is a fellow at the Berkman Klein Center for Internet and Society at Harvard University, a Lecturer in Public Policy at the Harvard Kennedy School, a board member of the Electronic Frontier Foundation and the Tor Project, and an advisory board member of EPIC and VerifiedVoting.org. He is also a special advisor to IBM Security and the Chief Technology Officer of IBM Resilient.